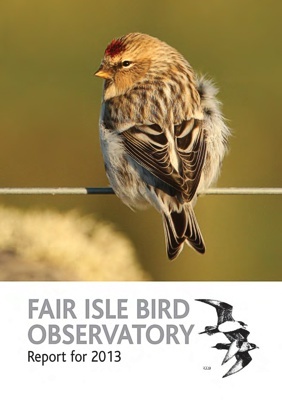 The Observatory's Annual Report documents the events of the birding year with a review of the year, systematic list of all the birds recorded, along with articles, a ringing summary and details of seabird numbers, trends and breeding success. 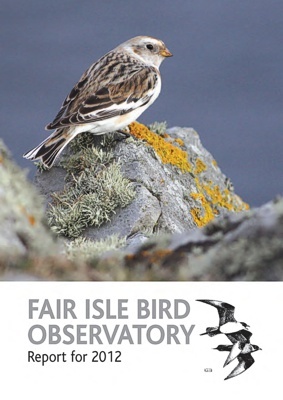 During 1951-67, FIBO produced a Bulletin (essentially for Friends of Fair Isle) and from, 1948, a more formal Report. These were combined into one annual Report from 1968. Annual Reports have been produced each year since 1948. Pdf files of back issue can be downloaded below. 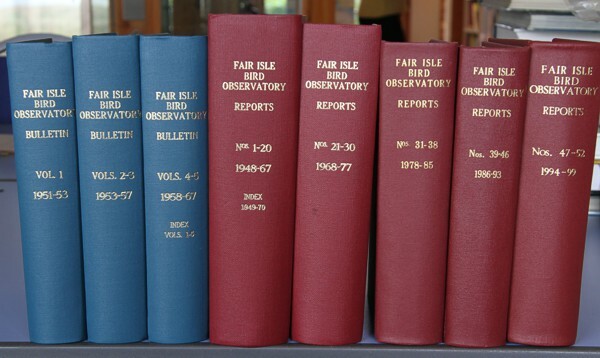 The latest editions can be purchased from the Observatory (and from this website). 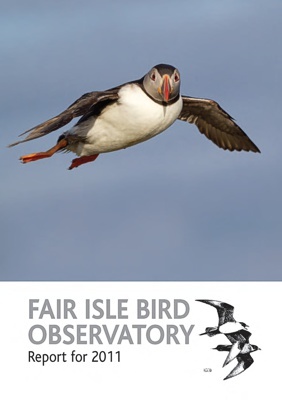 Our recent Annual Reports can now be purchased from our online shop. The old FIBO Bulletin cover design. The current FIBO logo was designed by Richard Richardson.